…and yet again I was there too, behind the goal to witness Moran’s tap-in. Actually I left early to avoid the rush. 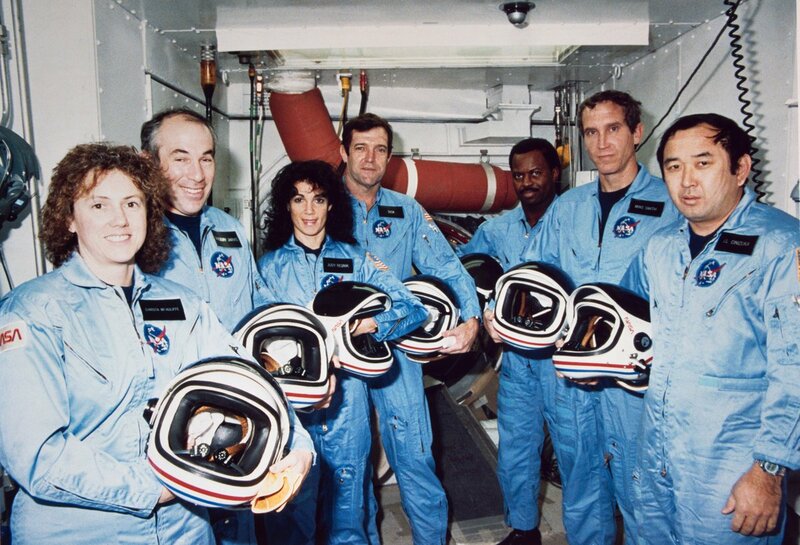 30 yrs ago today these 7 died in the Challenger accident. 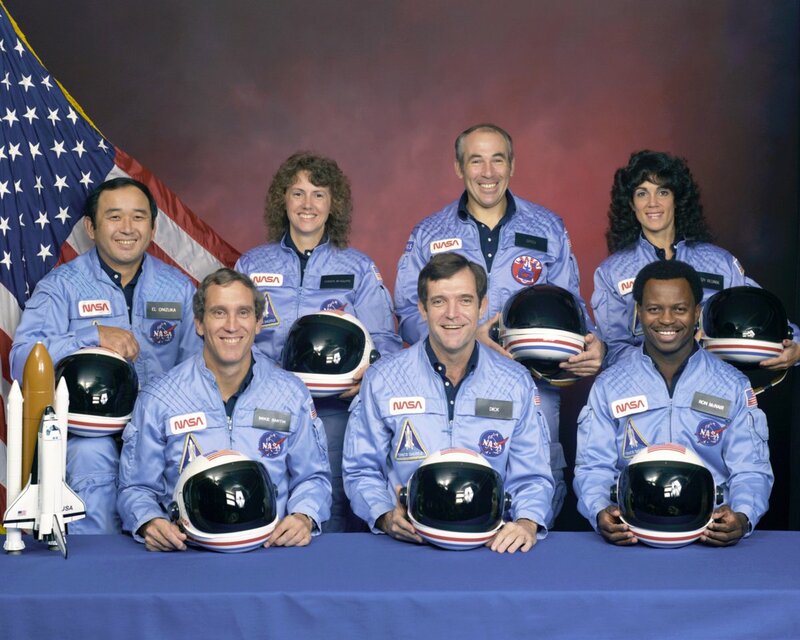 Spaceflight is forever safer, more capable. I honour them. Cue 30 year old joke. Great front man! A legend that does not get mentioned enough! 4th Feb 1967. Saints 6 West Ham 2. Gates locked at The Dell before kick off as over 30,000 crammed in to see the World Cup winners get spanked by Saints. Can’t give you any match details, as me and my Dad didn’t get there in time to get in. The perils of his shift work. I was there…2 from Paine, 2 from Chivs 1 from Big Ron and a rare one from Denis Hollywood. Strangely enough, John, Denis Hollywood also scored (a penalty) a few months later on April 8 1967 when we beat Burnley 4-0. Ron Davies got the other three. I know all this because it was the first match my dad ever took me to and he wrote the team changes and the goal-scorers on the programme, which I still have. Dear old Dave Merrington was playing for Burnley that day. Denis Hollywood fouled me straight from the kick-off in a Sunday League game…straight through me…I naively thought I could shield the ball from him. He picked me up…“sorry about that nipper” he said…I was laughing. I was a fan…it was a privelege to be fouled by him. That’s a great memory to share, John! One that sticks in my memory was Micky Judd. Even though he was really little more than a squad player at Saints he was head and shoulders above the rest in the Hampshire League. Another chap who was an excellent footballer at that level was Bob Stephenson, the old Hampshire CCC wicket-keeper. Just a side-note…Micky Judd wasn’t just a squad player…he was being groomed as Terry Paine’s successor and was only kept out of the side by Mick Channon and Paine’s good form. I saw him score at Highbury in '68 in that famous 3-0 win. Sadly his career was ended by a Cruciate injury at 21, before he was able to confirm everyone’s expectations. He and my brother were fast bowlers for Harefield junior school and used to terrorise the other kids in Southampton Schools cricket. I was at that simply stunning 3-0 win. Shame his career ended at such a yoing age. Thanks for reminding me about that, John, I’d completely forgotten that his career was ended by injury at that young age, which makes his performances for Cowes even more impressive. On this day in 1954 a sadyounggit spalshed down for its first day on this planet. Sobering to think that there was still sugar rationing following WW2 at the time! Blimey. Where does the time go? Denis’ goal against Burnley wasn’t a penalty. It was a shot from outside the area, at The Archers End. I was in the front, right behind the goal and as the game was on Southern Soccer the next day, I saw myself on TV for the first time. Bloody hell, Lets B, my old chap marked Hollywood’s goal down as a penalty - you’re surely not telling me that the man who inspired my love for the Saints and taught me everything I know about the Beautiful Game was in reality just a silly old fool who couldn’t tell the difference between a penalty and a long range shot from outside the box? Seriously though, this isn’t the first time I’ve been impressed by your powers of recall when it comes to Saints related stuff. Conversely, I struggle to differentiate one match from days of yore from another - apart from the really big games, of course. For instance, I can’t remember a single goal from that Burnley match, which has always struck me as strange and sad seeing as it was my first ever game. I don’t suppose you can remember if anyone actually did score a bloody penalty that day, can you?